This short experiment was inspired by a talk at the RSGB Convention 2016, given by Paul M0XPD of “Shack Nasties” fame. 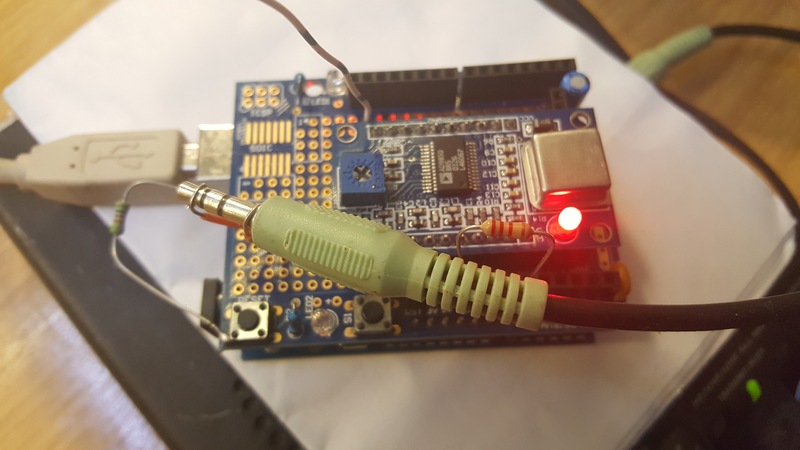 An Arduino did the work, with the USB connection returning results back for plotting. 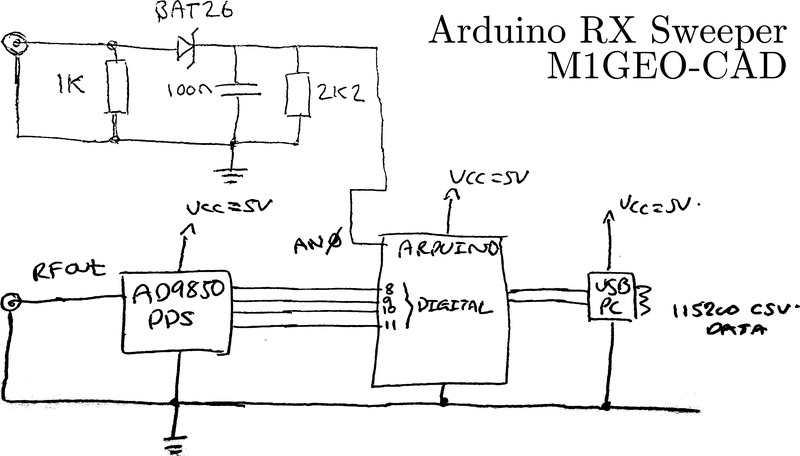 An AD9850 was used as the DDS RF source, and a Schottky diode detector was used to convert the audio AC to a DC value to be read by the Arduino ADC. I will experiment a bit more with this when I get the time. I’d like to play with a radio that has DSP and look at the filter shapes a little more. 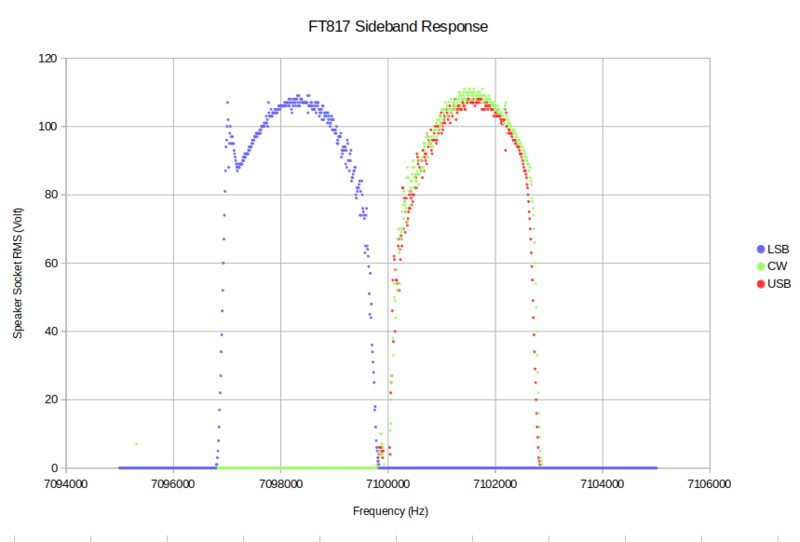 Regarding the FT817, I hadn’t realised it has only one filter by default; the CW goes through the same SSB filter; hence it having the same shape in the plot above. I have no idea why there is a lump on the side of the LSB filter. This is always observable.